ALL NEW AFTERLIFE TV EPISODE: Featuring an interview with intuitive and medium Jennifer Farmer. 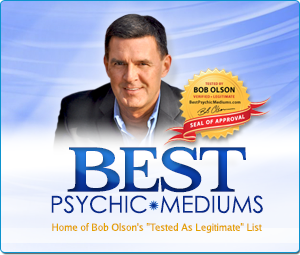 “In today’s episode, we’ll be discussing a question we’ve gotten from so many of you over the past few months: ‘Where has Bob been?’ I’ll explain exactly where I’ve been, the exciting new endeavor I’ve started, and the part I believe my spirit guides played in all this. 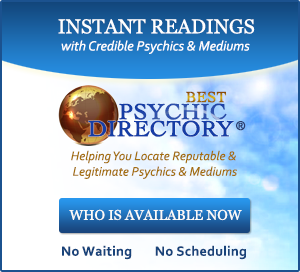 “Also in this show, I interview psychic and medium Jennifer Farmer. It’s an intimate conversation between us because Jennifer and I have known one another for over 8 years, and because I interviewed her right in my studio. Jennifer shares with us how she comforted her own grief after her father’s passing, why that difficult loss helped her to better work as a medium, and how two tragic shootings inspired her to create a tool for others to comfort and heal their grief. “Jennifer gave me an extraordinary reading eight years ago, and we’ve been working together ever since. In this show, she candidly reveals why the Florida and Texas shooting tragedies inspired her to create a tool to help people find peace in suffering. 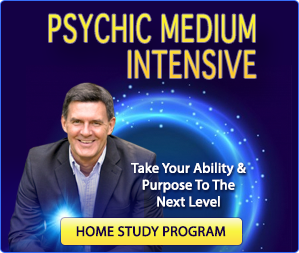 This resulted in the special program for the bereaved that she created for this purpose, which I personally used with fascinating results. We also chat about intuition, signs from spirit, and creating a new relationship with our deceased loved ones. Jennifer even shares the spiritual signs that led her to quit her safe corporate job to serve full time as an intuitive and medium. Thank you for sharing these insightful dialogues without imposing restrictions to your audience. The more we remember that we are spiritual beings the more signs show up to ones amazement. This leads one to be more careful about setting higher standards for ones behavior and intentions. It also reminds us that we are all from one source. Thank you Aram! I appreciate that. It’s great to hear from you again! Wow, have you ever been busy! I can hardly wait to read your new book and watch the movie when it comes out! Congratulations! Thank you. Nice to hear from you again. Happy holidays to you. I’m sure you’ll enjoy that CD. Thrilled that you are back Bob! I missed you! This interview with Jennifer is awesome! One of the best! Thank you! Please continue with your show. I get so much enjoyment and healing from your gift. Merry Christmas to you and your family. Hope you come back with more shows in the future. I’m touched by your message. Thank you. I will be doing more. I have partial shows already recorded . . . an interview here, some audience stories there, Q & A, so thanks for listening. Merry Christmas to you and yours. I’m so sorry for you. I don’t know why we humans tend to pass during the holidays so often. 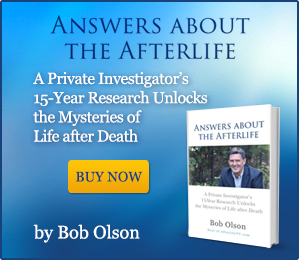 Be sure to watch or re-watch some of the episodes on Afterlife TV whenever you need some comfort, or if you have my book. Try to smile whenever you get sad, and just talk right out loud to your mom. She can hear you even if you can’t hear her. Blessings. Brian and I can’t wait to read your newest book. AND a film!!!! It doesn’t get much better than this when you remain playful and having fun. Nice to hear from you two. I hope you’re well. Thanks for the kind comments. I’m pretty excited too, just going along with the ride. Important to follow your ‘intuition’ and create and find more joy and fulfillment in your life. I have recently been led in a direction I didn’t expect and found a lot of joy, fulfillment and more understanding. Best Wishes! I’m happy to hear that for you. Best wishes! And thanks for your comment. Hi Bob, it’s really good to have you back and to know that you will be doing more shows. The episodes on Afterlife TV have provided real comfort to me on many occasions. I, too, cannot wait to read your new book and watch the film. Thanks so much. I’m glad the show has been a comfort to you. I appreciate your comment. Thanks Bob for sending me an email. I agree entirely with Jennifer Farmer and yourself. I lost my dear wife of over forty years marriage four years ago. I have joined the local spiritual church and they verify to me what I have already learned from my contact with the spirit world. I have also contacted my wife in my dreams.You are bang on target when you say that it is all about Love and Forgiveness.She has told me not to worry and that she will be waiting for me when I cross over to spirit. I’m glad you heard the show. Grief can be a long journey, that’s for sure. Sounds like you’ve learned a lot since you’re wife’s passing. How nice that she has visited you in your dreams. Thanks for your comments. I found your podcast after a psychotic episode. After 3 wks, I went back to work, tail between my legs. Before long, under pressure I had a breakdown at meeting, not remembering a 4 digit code. And numbers are my game. Left in tears. With relief that Friday evening I got really happy & had episode 2. I did not know about bipolar. Fortunately I met Heather and she told me to write to cheer people up. But your story has me in tears, but good tears of recognition. Thank you! I appreciate you sharing this story. I wish you joy over the holidays. Keep smiling. I have missed your shows. I am so happy and relieved to have you back! I, too have very recently lost a dear soul to the afterlife. I have yet to hear from him, but suspect that he’s recovering. Nice to hear from you again after so long. I’m so sorry to hear about the passing of your loved one. 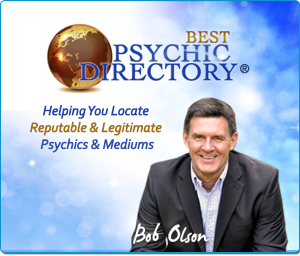 In last spring’s episode, How To Know If Your Spirit Guides Are Guiding You, I answer a question to a woman named Tammy about not hearing from loved ones in spirit. I think you are familiar enough with the subject to know the many reasons why they don’t always say hello, but that episode and my book are good resources to remind you. Thanks for writing. Yay! I’ll listen tonight. Thank you for sending the email letting us know that there was a new interview. Welcome back 🙂 I wondered where you’d gone to, lol. Congratulations on the book, can’t wait to read it! Is your show always with random pics ? I do enjoy listening but would rather see the interview…seems more personal that way….Do you show the interview or is it just me? If you haven’t seen the show before, we have about 60 plus interviews that show video of me and my guests. The newest episodes (about five) are audio only with different pics so you don’t just see one there. The audio quality is so much better this way, which a lot of people appreciate, especially if they listen in the car or on stereo speakers at home. So if you like video, there’s about 60 hours of it available to you. I was led to your web site after a terrible loss. It actually saved me from complete breakdown. The surety that we would see all our loved ones when our time comes has been a boon to me. I missed your episodes and am glad that you are back. You have been a life saver. Thank you for your kind words. It is stories like yours that remind me the importance of doing this show. I’m sorry you had to go through that, but I’m pleased that you found Afterlife TV to ease some of the pain. My heartfelt wishes to you. What a nice comment. Thank you so much. I hope you are doing well. Bob, you are truly a global treasure – full of goodness and grace yet down to earth in your humility. Such thanks for your talks. Moreover, thank you for being a noble guardian between life and beyond. We hope you’re okay, haven’t heard a talk for a while. All the best, a family in Nebraska. That’s way too much kindness for me to accept, especially first thing in the morning 😉 — but I’m grateful that you appreciate my work. 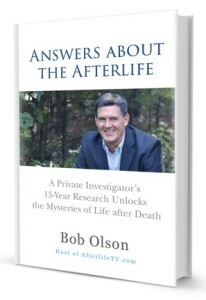 I explained in my last show on http://www.AfterlifeTV.com where I’ve been. I’m okay, thank you. I almost launched a new episode since this one (with Jennifer Farmer), but my sweet Lab mix, Libby, passed a couple weeks ago, which threw me off my game. Melissa and I don’t have children, so she was our beloved joy for 13 years. I’ve known grief, but this one caught me off guard. Anyway, I’m fine, and I’ll have a new show out soon. My best wishes to you and your family in Nebraska.